Failure detectors are devices (objects) that provides the processes with information on failures. They were introduced to enrich asynchronous systems so that it becomes possible to solve problems (or implement concurrent objects) that are otherwise impossible to solve in pure asynchronous systems where processes are prone to crash failures. The most famous failure detector (which is called “eventual leader” and denoted \(\varOmega \)) is the weakest failure detector which allows consensus to be solved in n-process asynchronous systems where up to \(t=n-1\) processes may crash in the read/write communication model, and up to \(t<n/2\) processes may crash in the message-passing communication model. When looking at the mutual exclusion problem (or equivalently the construction of a lock object), while the weakest failure detectors are known for both asynchronous message-passing systems and read/write systems in which up to \(t<n\) processes may crash, for the starvation-freedom progress condition, it is not yet known for weaker deadlock-freedom progress condition in read/write systems. This paper extends the previous results, namely, it presents the weakest failure detector that allows mutual exclusion to be solved in asynchronous n-process read/write systems where any number of processes may crash, whatever the progress condition (deadlock-freedom or starvation-freedom). 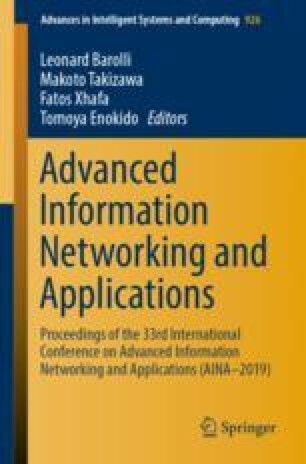 This work was partially supported by the French ANR project 16-CE40-0023-03 (16-CE40-0023-03) devoted to layered and modular structures in distributed computing.